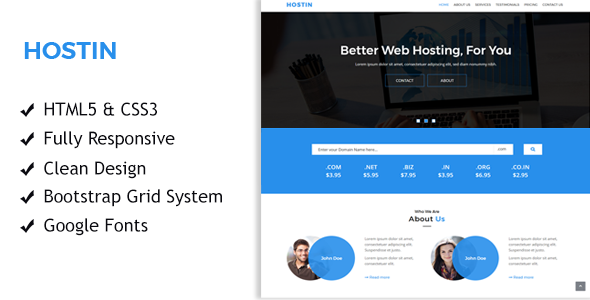 HostIn – One Page Responsive HTML Template for your Web Hosting Business, a creative agency, Technology Websites or any company website!. You will be able to quickly launch your new website. This template build with latest Bootstrap 3. HostIn help you build beauty and modern website in no time. HostIn also responsive, looks perfect from desktop to mobile. Dear buyer! If you like this template and my support please rate it. Note: All Images are demo purpose only not included in the download file.